Imagine sea kayaking Baja in the warm, clear waters of Loreto Bay National Marine Park in Mexico's Sea of Cortez, paddling along a spectacular section of coastline and exploring desert islands which pierce the tranquil waters. The towering volcanic escarpments of the Sierra Giganta Mountains rising out of the sea create your backdrop. Red-hued desert colors, azure blue water and magical land formations give this area great aesthetic and photographic appeal. These waters offer exceptional opportunities for viewing dolphins, sea lions and whales in the wild. High-flying frigate birds, blue-footed boobies and squadrons of pelicans are your companions as you kayak past manta rays and brightly colored fish. The warm, crystalline waters of the Sea of Cortez host a breathtaking array of tropical fish - perfect for snorkeling. Each winter endangered blue whales more than five times as long as your sea kayak migrate to these waters looking for tasty crustaceans. Encountering the largest animal on earth is a thrilling experience. Fin, Humpback and Sei whales also frequent the area. This video shows our guests mingling with these gentle giants at our exclusive whale camp which you can easily add to this tour. Note: First & last day on Baja dates are arrival and departure dates. Huge cacti thrive in this captivating landscape of white sand beaches, dramatic cliffs and hidden coves. Nature hikes take us up scenic canyons and headlands offering unforgettable panoramas of wild coastline and scattered islands. Kayaks are the best way to explore the volcanic shoreline, its sea caves and reefs. Our six- to eight-day self-supported and motorboat-supported Sea of Cortez Islands expeditions explore the beautiful Islas Danzante and Carmen. All itineraries begin in Loreto and include both arrival and departure days. Optional motorboat support carries camping gear, food and supplies ahead of the main group, for lighter kayaks. The panga also carries comfortable chairs and tables for dining as well as a cooler with ice for cold drinks. View a slideshow of this trip. For the more adventurous, join our twelve-day Isla Carmen Circumnavigation or Loreto to La Paz Expedition and experience a remote area few people see. Also, check our 8-day Sea of Cortez Islands and Yoga Adventure Baja sea kayak tour, and our combination kayak and gray whale watching tours. View a video of kayaking in Baja's Sea of Cortez and whale watching in Magdalena Bay. Upon your arrival in Loreto take a quick cab ride to your hotel of choice and check into your room for the night prior to your orientation meeting with your guides and fellow guests at the designated meeting point in Loreto. 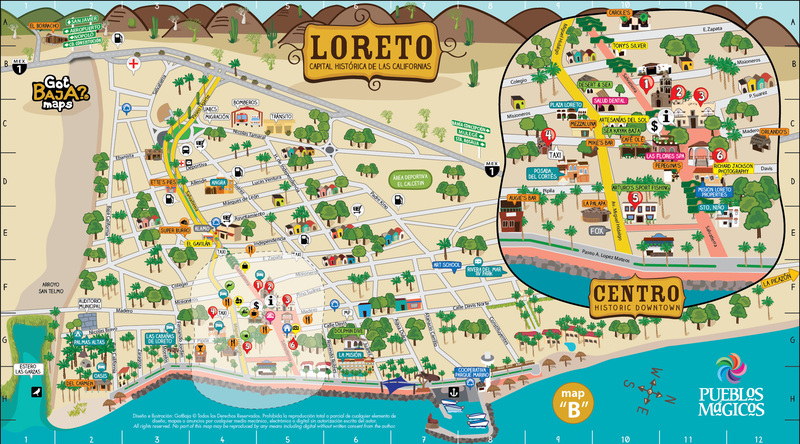 Spend your afternoon exploring the beautiful town of Loreto. You can tour the historic Mission located in the center of town, stroll through the local market and dine on authentic Mexican cuisine before meeting your guides for an evening orientation meeting. Wake up and enjoy a hot cup of coffee or tea while taking in sunrise before your final day of kayaking. We will spend the morning exploring the shorelines and watching for a final glimpse of marine life! After lunch we break camp and paddle to our take-out site around 2 p.m. Upon arrival at the take-out site we quickly unload our kayaks before making the return drive to Loreto. Once in Loreto you will check into your hotel room of choice. Enjoy a hot shower before joining your guides and your fellow guests for an optional, no host farewell dinner at a favorite local restaurant. Departure date. Say good-bye to lovely Loreto and head back to the airport to fly home, or ROW Sea Kayak Adventures can arrange to extend your vacation at the tour hotel in this charming village. Day tour and add-on options available. Please note: All Islands of Loreto Bay Itineraries will follow the same schedule as the 6-day itinerary, but with one to two fewer days of kayaking and camping. Hotels are not included in any of these tours, you will need to reserve hotels on your own for before/after your kayaking tour. Youth (4-8 guests) $949/Youth (4-8 guests) $849. Youth (4-8 guests) $1129/Youth (4-8 guests) $929. Youth (4-8 guests) $1299/Youth (4-8 guests) $1099. Youth (4-8 guests) $1499/Youth (4-8 guests) $1299. Single Supplement: Solo travelers will always have their own tent during kayaking tours, at no additional cost. Not Included: Airfare, hotel nights before and after your tour, transportation to and from airport, gratuities, $25 National Parks & Biosphere Reserves access fees required by itinerary, and items of a personal nature. What if I don’t have sea kayaking experience? What’s the difference between Loreto & La Paz? If you are having trouble deciding between the two destinations we suggest reading this Blog detailing the differences between Loreto and LaPaz. To keep our group size small and our impact minimal, we typically limit our tours to 14 people or less. Our standard minimum to confirm a departure is 4 guests for our Islands of Loreto Bay kayak tour. Is there any extensions I can add to the beginning or end of my trip? 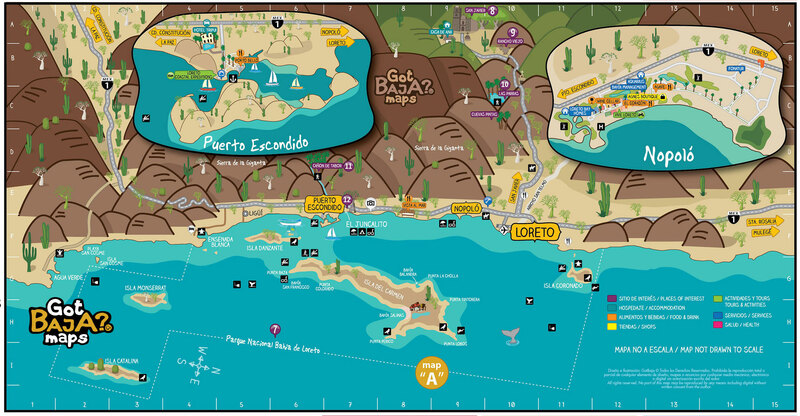 If you will be extending your stay in lovely Loreto before or after your tour, we are happy to arrange a Tour Extension option to help you explore Baja. Please inquire with the office if you would like to add on a tour extension to your reservation. Our tour costs are based on double occupancy on any included hotel nights. Solo travelers who would like their own single hotel room can pay a single supplement or can be matched up with another solo traveler of the same gender if one is available and willing to share. If we are unable to pair you with another solo traveler, we must apply the single supplement charge to cover our hotel costs. Solo travelers will always have their own tent during kayaking tours, at no additional cost.